What Kind of Car Insurance is Required in Arizona? Liability insurance is the only type of insurance Arizona requires drivers to carry. Why does it matter? Liability insurance helps cover damages and injuries you may cause to others if you’re the at-fault party in a car accident. While it’s necessary to meet the minimum requirements, it’s advisable to aim for higher coverage if you can, as you’ll be expected to pay out-of-pocket to cover any bills that exceed your limits. Keep in mind, the required minimum limits may not be sufficient if you’ve been involved in an accident. If possible, it’s a good idea to purchase greater liability insurance, uninsured motorist coverage, collision, and comprehensive insurance. This way, you can feel confident you’re protected financially in any situation. Uninsured Motorist & Underinsured Motorist: These two types of insurance protect you if you’re hit by a driver with no insurance or inadequate insurance. UM is available at a minimum of $15,000 per person and $30,000 per accident; UIM should match your liability bodily injury coverage. Collision: Helps cover the costs of damage to your car, whether it was caused by a collision with a car or object. Comprehensive: Helps cover damage caused by theft, fire, hail, flood, vandalism, explosions, falling rocks and other objects, and collisions with animals. Personal Injury Protection & Medical Payments: PIP and MedPay cover the costs of injuries to you and your passengers, as well as lost wages and more. What Are the Penalties of Not Having Insurance? Learn More From the Experts at Cactus Jack's Auto! Do you have more questions about car insurance in Arizona? 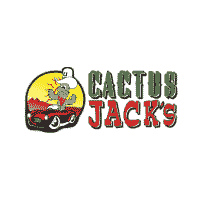 Before you buy, contact Cactus Jack's Auto or visit us near Mesa and Surprise! We can provide you with even more advice, whether you’re a first-time buyer or applying for an auto loan with no credit. 0 comment(s) so far on What Kind of Car Insurance is Required in Arizona?